Want to strengthen your abs and reach 100 sit-ups? That’s an ambitious goal. 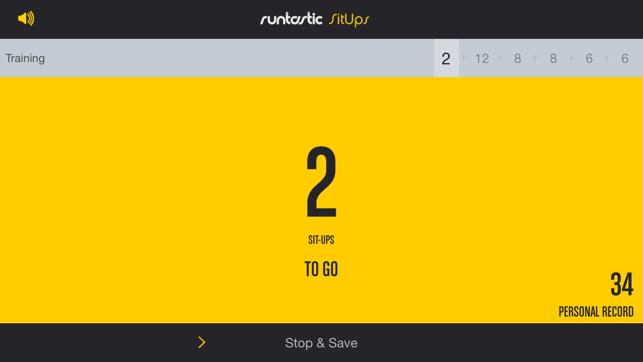 You’re in luck, though - the Runtastic Sit-Ups app is the ideal companion to put your plan into action. We know you can do this! Your PERSONAL TRAINER, aka your iPhone/iPad, helps you stay on track - draw motivation from our app to ensure you reach your goal. Sit-ups are among the most popular strength exercises when it comes to getting a flat belly and ripped abs for a reason. They’re highly effective and a big step towards your sixpack. Seize the moment, make the most of your motivation and kick-off your journey to perfect abs! Knowing the exact number of sit-ups you just knocked out can boost your motivation. 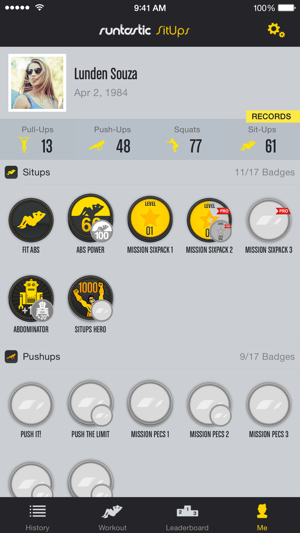 Even better: You get a great overview on your fitness activities, allowing you to monitor your progress step by step. Got a thing for records? Increase your ambition with the Runtastic Sit-Ups app and try to beat your personal bests over and over. Then, check out your records and draw motivation for your next session. 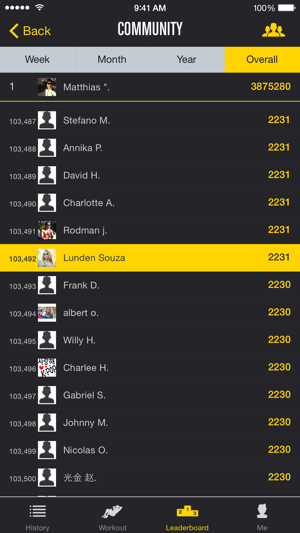 Convenient: You can upload your fitness data to Runtastic.com. 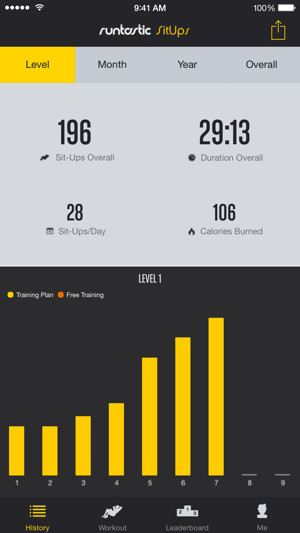 There you can access all your stats anytime, as well as monitor your success thanks to your personal training log. 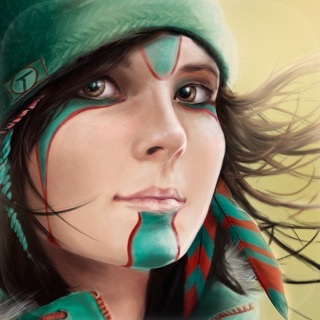 Remember, you can also share your achievements with your friends! Strong, defined abs won’t just push your self-esteem, they also stabilise your entire body. Rely on Runtastic Sit-Ups for quick and efficient strength training for your midsection. What are you waiting for? Go get those abs! You’ll be surprised how many sit-ups you can do on your first try! Why not for Apple Watch? 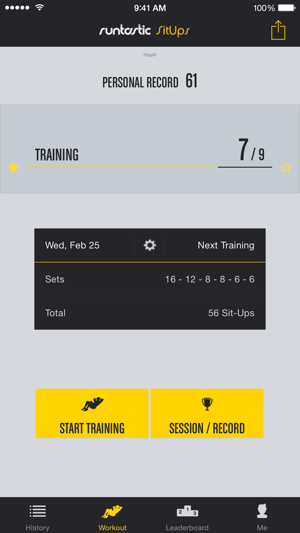 Great app but it has too few training plans. Supports and helps in training.